No keys needed for the villa was a great thing! Didn't have to worry about forgetting one as we went to the beach/pool. Also, the response time from the owner of the villa was excellent. I loved the view, the villa, the food it was so outstanding. I will choose to stay at this place next visit. Host was accessible and willing to help. Location was good. Villa was beautiful clean great view it as like a home from home. Saludos! Mi esposo, hija y yo disfrutamos de un fin n de semana espectacular. La villa sumamente cómoda, la verdad supero nuestras expectativas! Limpia, acogedora, la vista al mar divina. La habitación cuenta con excelente luz natural. El complejo es tranquila y apto para niños. Queda a pasos de las actividades del hotel. La comunicación con el Sr. Cautino fue una accesible y agradable. Estuvo siempre al pendiente de nuestras necesidades y de que estuviésemos a gusto. El proceso de acceder a la villa fue uno de excelencia. En definitiva volveremos a vacacionar en las villa. La recomendamos al 100 %. La vista hacia el mar es espectacular. La tranquilidad del lugar, el estacionamiento accesible, la limpieza de la villa y los servicios de TV, cable y equipos electrónicos disponibles en la cocina y laundry. 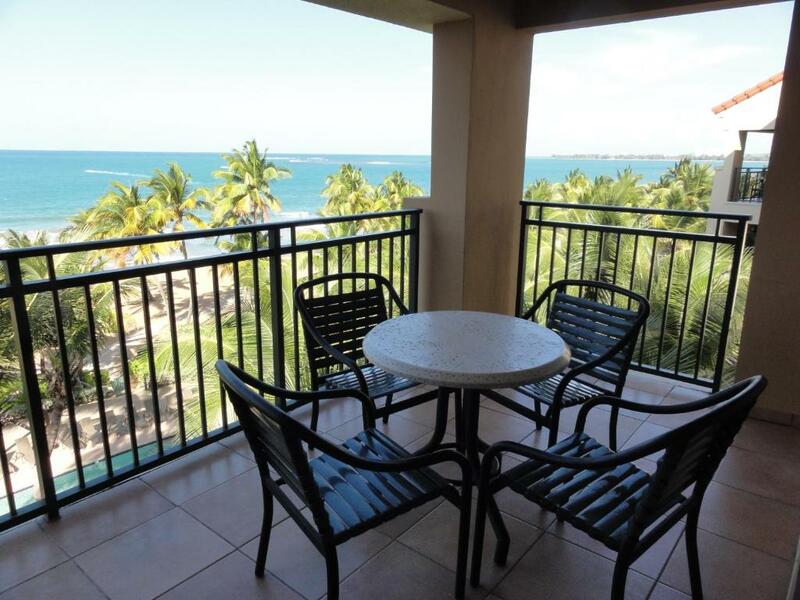 Lock in a great price for One-bedroom Oceanfront Villa at Rio Mar – rated 8.8 by recent guests! One of our best sellers in Rio Grande! 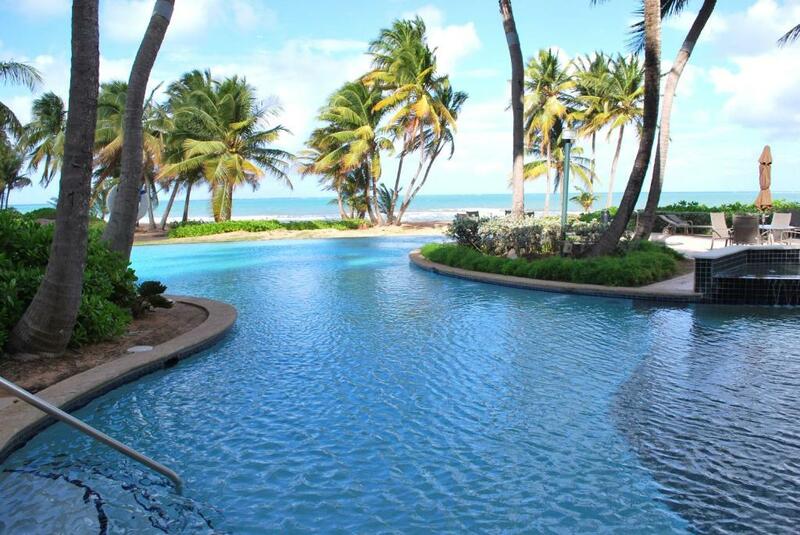 Featuring private pool, One-bedroom Oceanfront Villa at Rio Mar is located on the beachfront in Rio Grande. 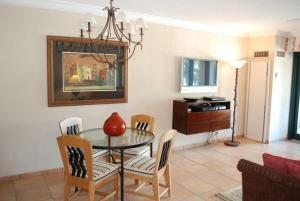 It has a private beach area, sea views and free WiFi. 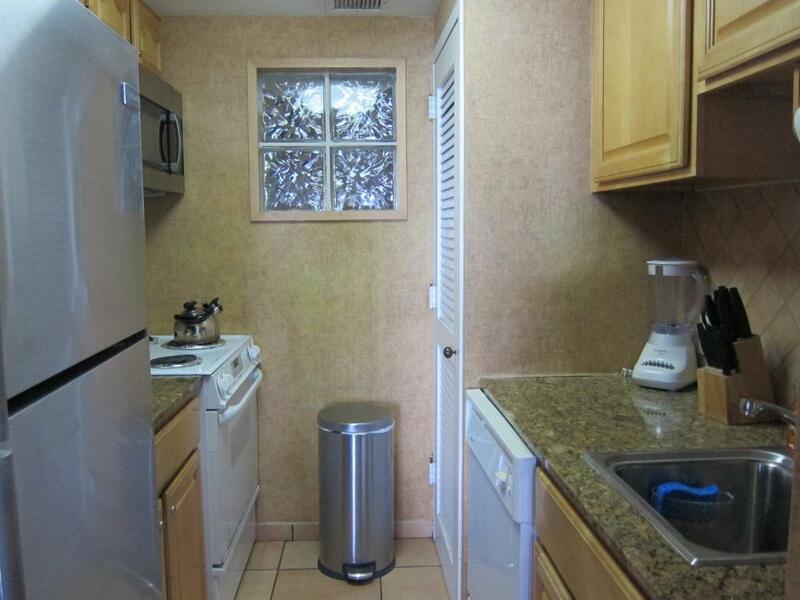 This apartment comes with a living room and a fully equipped kitchen with a dishwasher. The air-conditioned apartment also provides a flat-screen TV, washing machine and a bathroom with a bath. The apartment has an outdoor pool. Guests can also relax in the garden or on the sun terrace. San Juan is 30 miles from One Oceanfront Villa at Rio. 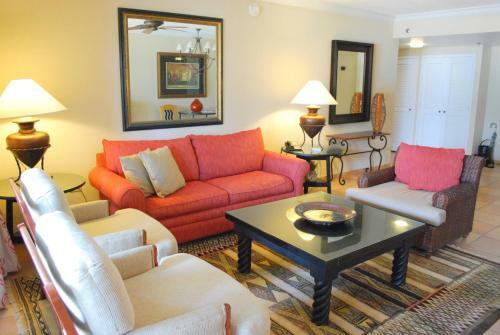 When would you like to stay at One-bedroom Oceanfront Villa at Rio Mar? This apartment features a living/dinning area, full kitchen with all major appliances, beachfront balcony and separate bedroom with one full bathroom. Our 1 bedroom Ocean Villa is ideal for couples travelling alone or with kids since it has a sofabed in the living room which is separate and therefore offers privacy from the bedroom. A rollaway bed and/or baby cribs are also possible to rent. The property is about 1,000 square feet in size and is nicely decorated and appointed but the best thing it has is the great beach view and the proximity to the pools and beach (just steps away! Literally!!!). My family and I have owned different properties at this resort for over 20 years. Since we know the area so well, we always invest in the best location/properties within the resort. I was born and raised in Puerto Rico and educated in the US (Boston). This property is BEACHFRONT and within the grounds of the 500 acre security gated community of Wyndham Rio Mar Beach Resort. 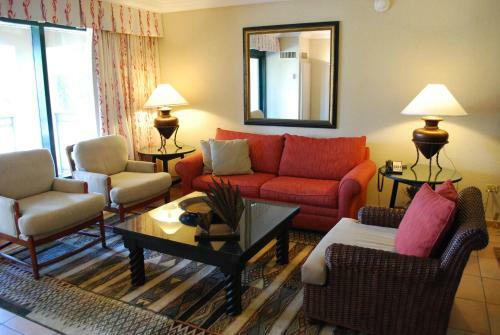 The resort has lush tropical gardens and offers everything from two 18-hole championship golf courses, tennis courts, several restaurants, bars, casino, spa, several pools, a 2 mile-long beach, and a 600-room hotel. Outside of the resort you will find grocery stores, drug stores, many local restaurants, as well as many favorite touristic destinations. 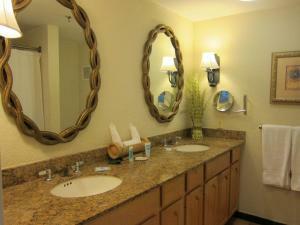 House Rules One-bedroom Oceanfront Villa at Rio Mar takes special requests – add in the next step! One-bedroom Oceanfront Villa at Rio Mar accepts these cards and reserves the right to temporarily hold an amount prior to arrival. Please inform One-bedroom Oceanfront Villa at Rio Mar of your expected arrival time in advance. You can use the Special Requests box when booking, or contact the property directly using the contact details in your confirmation. Villa was not as clean as it should have been. For a Villa, the place didn’t have any kitchen cleaning supplies like dishwasher soap or regular dish soap. Host bad communication, I call several times and had no answer. The sink, the sealing fans, wifi,part of the illumination didnt work. I arrived at 3pm and I wasn't able to get into the room until 3:47 pm no one was on the rental desk and they didn't answer the phones I had to call directly to booking. There was a smell of humidity in the locker. My wife doesn't like it. High speed WiFi, nice TV, and good location. The refrigerator was not working. Called the host next day and was told that someone would be there around 3:00 pm to fix it, called back at 7:00 since no body had shown up. Finally the person showed up up at 7:30, to say they needed a new fridge. We lost a whole afternoon waiting, lost part of the groceries, never had access to a refrigerator and the host never apologized or tried to make up for the problem! Apartment had a great view.